Howlin' Wolf Records: SIX STRINGS: STAGE FRIGHT THE WEB SERIES!!! STAGE FRIGHT THE WEB SERIES!!! 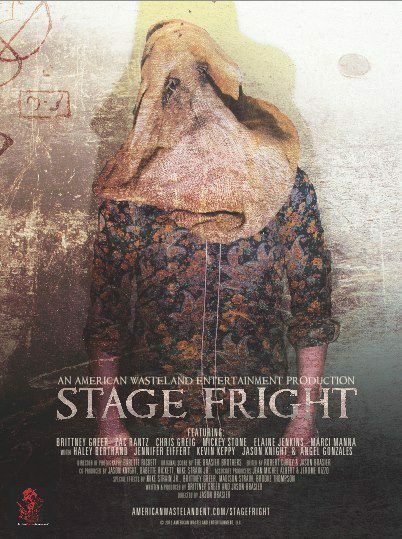 I just wanted to let everyone know that STAGE FRIGHT the web series is now available for viewing. It is the story of a young newly wed couple that inherits a spooky old theater that is haunted by ghosts and stuff. It is expertly directed by Jason Braiser who wrote and directed DRIFTER: BROKEN ROAD. The talented and lovely Brittney Greer wrote and stars in this dark tale of the macabre. Here is an interesting factoid. I helped make this. I am Co-Producer and I have a small role in the series. Relax, folks. I said I had a small role. I don't even have any lines. Watch it and if you feel like it give it a shout out on your blog if you have one. Just watching it helps us out big time. I hope you enjoy it on some level whether it genuinely creeps you out or makes you laugh out loud. Click on the links below to watch. Thanks for your support. DREDD: Why didn't any of you go see this film? TEDDY, POPULARITY KILLER, and BLOOD BROTHERS!